Are you my mother? | Exploring Winnipeg and Beyond. ← William Stephenson the quiet man that would inspire 007. I am going to deviate just a little bit this morning from my normal routine. I had promised all of you the next installment in the William Stephenson story about how he became a key inspiration for Ian Flemming’s master spy James Bond. To be honest though I really haven’t had the time this weekend to hit the books and do the research required to write a top notch history. This weekend I spent with my darling daughter who lives a couple of hours out of Winnipeg. It was her 14th birthday last weekend so I took the chance this weekend to spend a fun filled day with her bowling and generally having a good time. In any regard that got me thinking about my own situation, as many of you may know I am an adopted son to my late father and globe-trotting mother. It’s the only life that I have ever known so please don’t feel badly for me. I really couldn’t have asked for better parents and the childhood that I had was a very happy one in most regards, but there has always been a hole in my heart that I have never been able to fill. The one left by my birth mother when I left her arms and was taken into foster care. 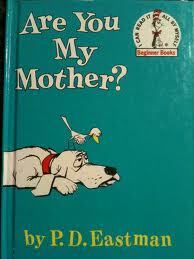 There was a story that my mom (Florence) used to read to me as a child, it has to this day remained one of my favorite stories and I know it almost word for word even though I haven’t seen a copy of the book for well over 30 years. It’s name is Are you my mother, it follows the plight of a little baby bird who as I recall falls out of the nest one sunny day and wanders about asking everyone and everything “Are you my mother?”. I guess reading that story to me was her way of letting me know that it was OK to be different from my younger brother who was theirs by natural birth. Growing up I was always an inquisitive child, I would often wander off while my mother was shopping (in a time and place where it was still safe to do so) and talk to anyone I could find in the stores we would frequent. Mostly I would talk to cute women as my mother would frantically run around the store in search of her wayward son. Inevitably I would end up dragging the poor hapless woman that I had latched onto up to the front counter where my mom would be in a tizzy waiting for my return. Who do you think you are? Television program title sequence. 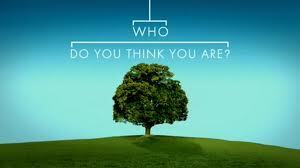 With the advent of television programs like Who do you think you are?, which research a celebrity’s family tree going back hundreds of years it got me to thinking about how I see my true family history. It begins and ends with me. I do have some basic information on my birth family but any attempt thus far to dig deeper into my roots on this earth have thus far come up empty. I have spent countless hours in the libraries using resources like Ancestry.com only to come up with nothing. I have registered with the Government of Ontario Family and Children’s Services to have my name placed on a reunion registry but that requires both parties reaching out for the Government to act on our behalf. To make a long story short I have tried everything but going through the Ottawa phone book and cold calling people who share my last name. Then I got to thinking I have a website that is seen by hundreds of people every day. Maybe one of them knows who I am? Maybe one of them has access to resources I do not have. Maybe one of them knows Oprah or Ellen? Long-shot I know but hey nothing ventured nothing gained. My basic birth information is as follows, for obvious reasons I cannot disclose everything but someone out there has the other half of this puzzle maybe we can complete the picture together. The story goes that in the late 1968 or very early 1969 my mother was a young twenty year old stenographer and typist working in the Ottawa/Hull region of Ontario possibly for the Police or Government Service. She may have had a tryst with someone working in the service and produced me in the process. I was born in September of 1969 with the given name Shawn Logan at the Grace Hospital in Ottawa, Ontario. I spent approximately 6 months in foster care before I was placed with my adoptive parents Ken and Florence Ogden of Fort Frances, Ontario. I caught a bad case of the German measles at around 4 or 5 months old and this delayed my adoptive parents from claiming me sooner. I believe that my birth mother’s family name was also Logan and that they lived in the Ottawa/Hull region. She did have a number of brothers and sisters and her family would not have been able to care for me as one of her brothers was injured in a workplace accident thus depleting their resources. I do not believe that her family knew of her pregnancy but I could be wrong on that count. I do not have any information on my birth father’s side of the story, which leads me to believe that he may not have known about the pregnancy or he had interests to protect other than my mother. Well there it is my history laid bare for the world to see, if you have any information my e-mail address is listed above. This entry was posted in Rants and tagged Adoption, Adoption Searches, Adoptive Rights, Ancestry.com, Are You My Mother?, Birth Family, family, Family and Children Services, Fort Frances, Foster care, Ian Fleming, Logan, Ontario, Ottawa, P. D. Eastman, Who Do You Think You Are, William Stephenson. Bookmark the permalink. Yes, Bob, I am your mother! Sorry, I couldn’t resist. I hope you find her. My ex was adopted and though he never wanted to find his birth parents, he did have some issues about being adopted that stemmed from when his father left then had new children with his new wife. I always felt bad because I knew there was nothing I could really do. Well I guess another part of why I wrote this post, now that I think of it, is that so people have a place to share. I have never seen Flirting with Disaster although I simply must pick it up now if it’s one of your all time faves!! Hope your quest is successful. I have a few friends who also are adopted and one of them did find her birthfather even though it did take some time whereas my other friend has chosen not to look. Thanks so much Ivy, it’s been a long time that I have been asking these questions. Hopefully something will come of my search one day. I was adopted too. I tracked down my birth mother when I was 30 and we have a good relationship, though (because?) we live in different cities. Coincidentally, both my assistants have adoption stories too. One was a relinquishing mother and the other, like me, is an adoptee. Thanks so much Myra. You know how I feel. It’s strange being loved yet feeling so alone. It took me a long time to feel loved. I had great parents, but somehow empty. Glad that you have your answers. Awww, Nikki I was so hoping to suckle…. Is that a bad thing? 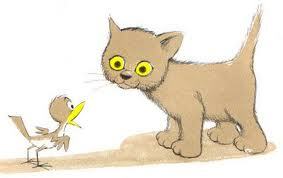 I love that story as well, one of my favourite children’s books. But I do wish you luck, I love genealogy and the history behind us. I managed to sort out my dads family tree quite good but with my moms dad I bite the dust properly due to him being adopted and even in Sweden where paper and bureaucracy rules I just couldn’t find anyway of going forward (well backwards) on his part. But knowing where you are from is truly important to us all, even though I did find a person on my side in the 1700 that got himself hanged for molesting a cow (I was actually quite pleased with that one, made me giggle for quite a while) and also found myself being close to kings, one of my ancestors shoot Gustav the III, made me a little bit proud as well 🙂 Anyway, best of luck mate. Thanks buddy, I promise if you make it over here you will be stuffed to the beak with sausage and good Canadian beer. I can’t imagine what it must be like to have this issue in the back of your mind all your life. Good luck in your search. Well GG it’s no different for me than it is for millions of other adopted children around the world. I guess for me, I wear it like an old coat, it’s always there but unless you think about it you never really realize it. It’s only when you notice that your wearing it that maybe you want to update the style a little bit. I hope you find her. I have had two friends and an uncle find their adoptive parents. One of those friends was adopted TWICE in her lifetime, one of those times she was adopted at 19. (I remember that, we were in the Air Force together, thought it was awesome.) Anyway, there are lots of groups/forums online too. You can post information you know about your biological parents and yourself in the hopes you find that part of your life. Don’t give up. My uncle did not find his biological mother until he was in his late 50’s. Thanks for the sweet comment, I am so happy that your friends found their roots. I hope that I am so lucky one day. Keep hanging on in there. I found out at 16 (just after my mum died) that the man I thought was my father, was in fact my stepdad (for reasons I won’t go into, I am so happy with that news and it explains a lot). I was told who my real dad was, by his aunt. Unfortunately when I tried to contact him, nothing came of it. Fast forward 20 years. I had the urge to try and find him again and had posted on a few message boards in the area I last knew him to be in. A TV program came forward asking me if I wanted to take part in a reunion show and they would track my father for me. I declined, but it gave me the idea to appeal to the newspapers in the area where I last knew him to be. Within days of them publishing the notice for me, I had someone contact me claiming to be my dad’s best friend. That same person tipped me off that I should prepare myself as my dad was very sick with stage 4 non-hodgkins lymphoma, but he would talk to my dad and see if he was open to contact. My dad was thrilled and asked me to call him that same day. I was a mess. A bundle of raw nerves. It’s been two years now. His cancer is in remission (whew!) and we talk every few days for hours, plus I’m also getting to know my brothers, sisters, brothers and sisters in law, nieces and nephews. It’s daunting but so worth it. I never expected such an awesome result and never anticipated the day would finally come when I could finally know more about where I come from. So many times I had given up. I’m rooting for ya! Thanks so much Charlene! You have no idea how much your story means to me, as someone who has gone through the ups and downs of finding your roots. I have all my feelers out, so hopefully one day it will happen. You are so welcome! Keep in touch!